The work overload of the formal caregiver of the elderly is frequent and can cause health problems, both psychological and physical. One is Burnout, a phenomenon which is already considered a public health problem, which mainly affects caregivers (both formal and informal) . This study aimed to analyse how the Burnout of caregivers of the elderly may be related to the risk of violence against institutionalised elderly people. 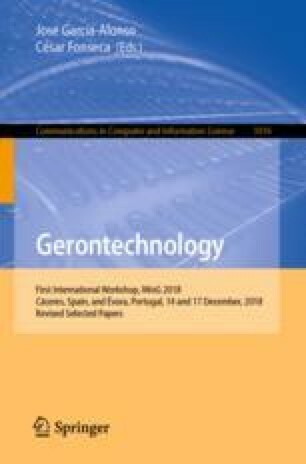 82 formal caregivers participated, from institutions that receive elderly people, temporarily or permanently, and that collaborated with the project Aging in Safety in the Alentejo - Understanding to Act, of the University of Évora. The Copenhagen Burnout Inventory (CBI) and the Caregiver Abuse Screen (CASE) were applied, and a quantitative approach was applied using IBM-SPSS software (version 24). The results indicate that caregivers have low levels of Burnout and that there is a low risk of violence against the elderly. However, significant correlations were found between these two dimensions. There is a need for intervention in this professional group, focusing on the promotion of workers’ health in the prevention of, and combat against, Burnout Syndrome, with the adoption of coping strategies. This could reduce the effects of prolonged stress levels experienced by formal caregivers of the elderly, in order to then reduce the possibility of acts of violence against the elderly. F. Mendes—Researcher Responsible for the Project ESACA- Ref.ª: ALT20-03-0145-FEDER-000007. J. A. Pereira—Project Fellow ESACA- Ref.ª: ALT20-03-0145-FEDER-000007. The authors thank all the participants and institutions for their contribution to this work, namely the University of Évora, the National Confederation of Solidarity Institutions (CNIS); the Regional Health Administration of the Alentejo, IP, (ARS Alentejo) and the programmes that financed the project Envelhecer em Segurança no Alentejo/Ref: ALT20-03-0145-FEDER-000007: Alentejo 2020, Portugal 2020 and the European Union.